The leader in manufacturing environmentally-friendly BREATHABLE waterproof products for you and your family. 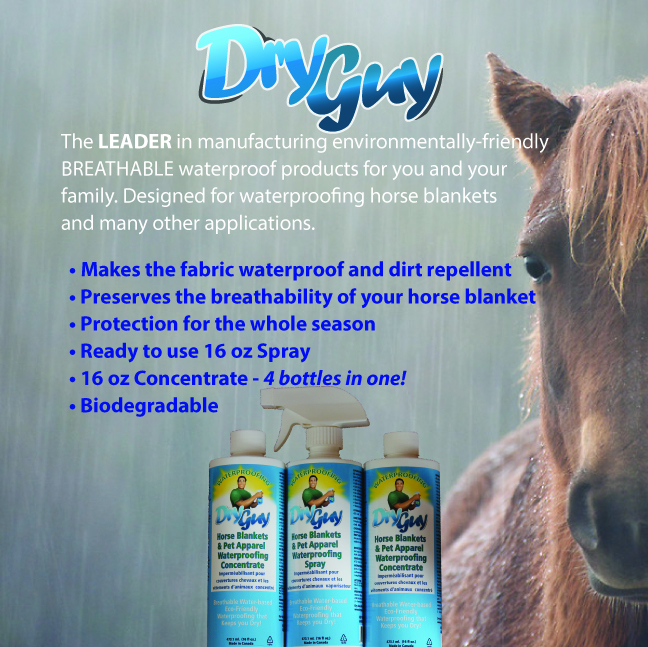 Waterproofing for horse blankets, pet beds, livestock garments, and many other applications. 473 ml bottle of spray $11.94 (US funds). Click to view a list of stores that carry Dry Guy Waterproofing. Click to read a product review by Horse Journals.